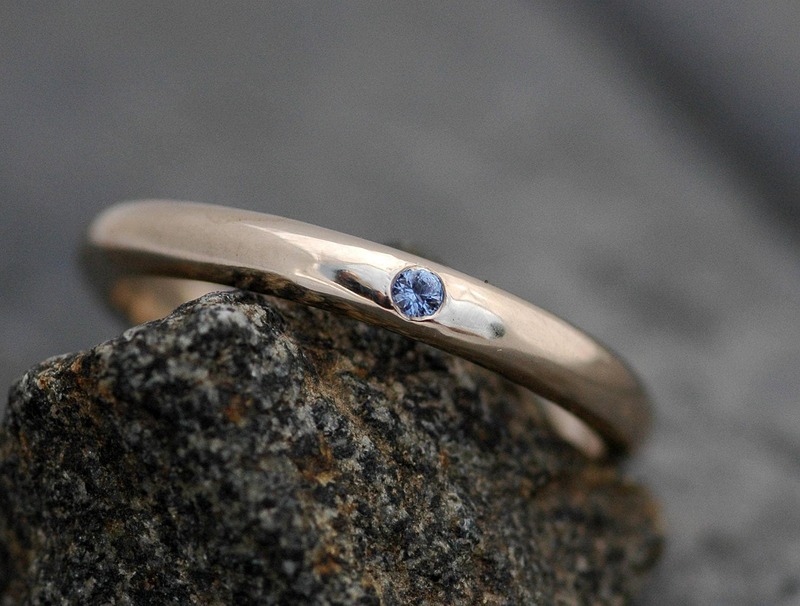 This is a solid, hand forged gold stacking ring. The ring shown here has been sold. 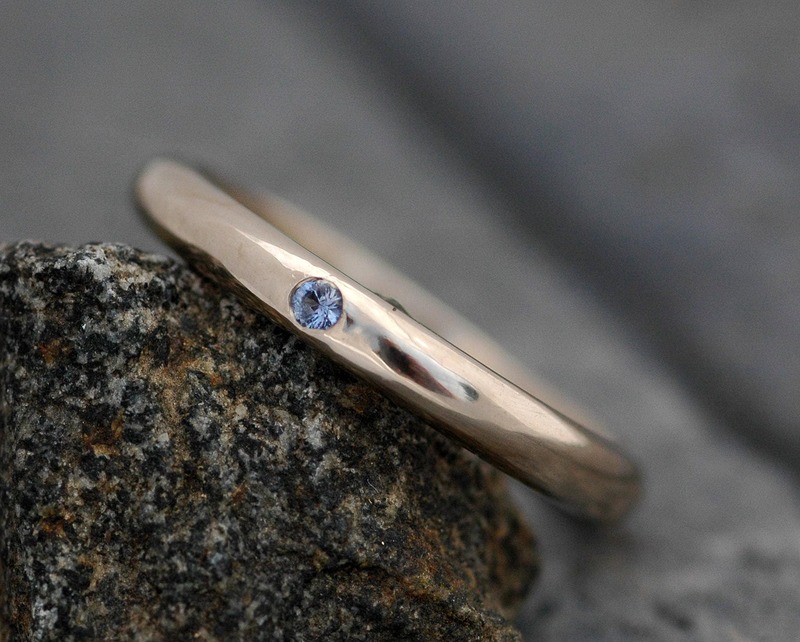 This listing is for a custom, made-to-order ring, built to your specifications. A sweet, glittery 1.5mm brilliant cut Yogo Gulch sapphire is flush set, or gypsy set, down into the ring. 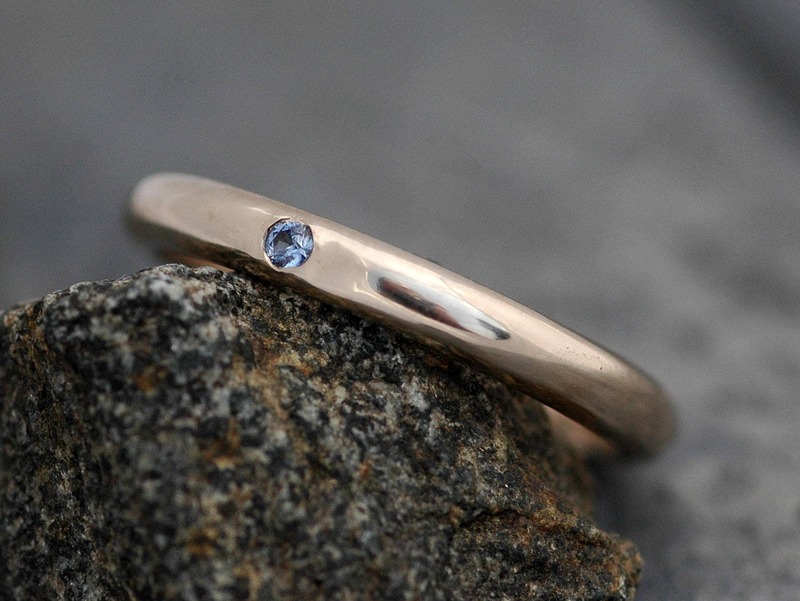 I source my Yogo sapphires directly from the stone cutter. 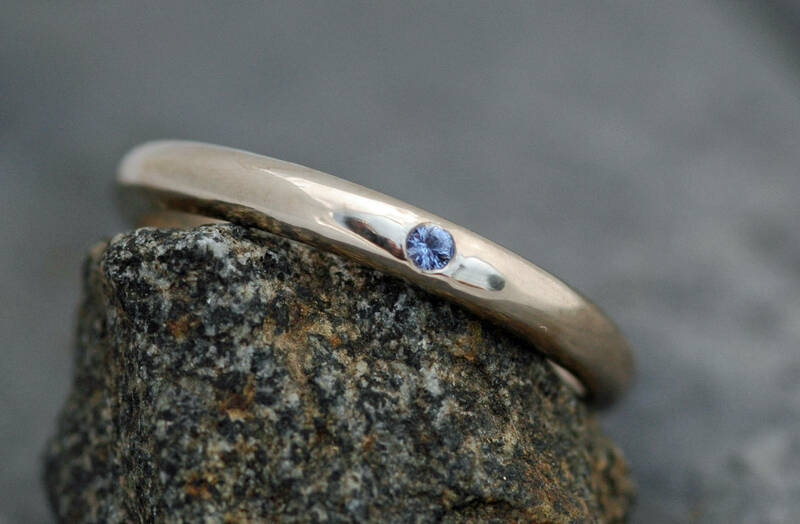 Yogo Gulch sapphires are world-renowned for their gorgeous cornflower blue colour. Authentic Yogos are never heat treated, like the vast majority of sapphires are. The Yogo Gulch is in Montana, USA. The final photo shows a ring in this style being modeled. The ring on the finger is made of hammered rose gold. 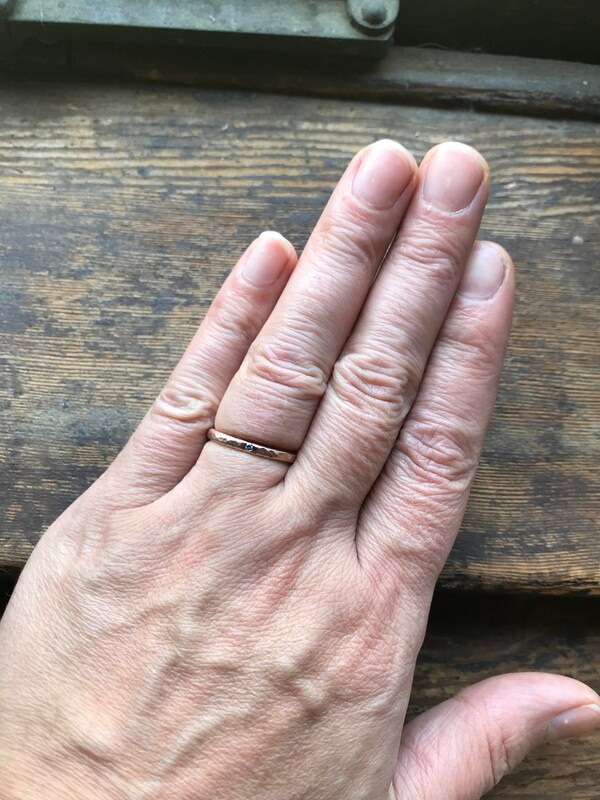 SHIPPING- PLEASE READ: Is by the quickest method I can use to get your rings to you. This is two business day (to most locations, but some restrictions apply) in the USA, and approximately 3-5 business days outside of Canada and the USA. It includes a tracking number. Please note- this method carries only $100 in insurance. As the rings are moving with a reputable courier and must be signed for on your end, they are very well-protected. However, on the very rare and outside chance that they should become lost or damaged in the mail, I cannot cover the cost unless you have chosen to upgrade to full insurance.